Mercedes C Class review Boot Space, Size, Seats | What Car? 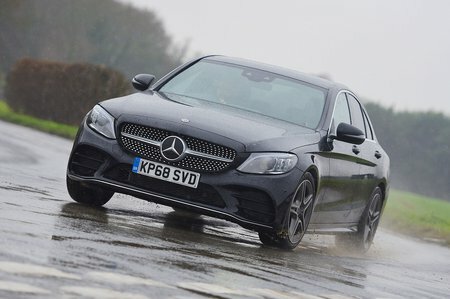 Even tall adults are unlikely to find major issues with room in the front of the C Class, because there’s good leg room and plenty of head room, even in cars equipped with the optional panoramic glass roof. However, the space on offer is nothing compared with that of some of the bigger, less premium rivals, such as the Passat and Superb. There are wide storage pockets in both doors, along with a decent-sized covered area at the bottom of the dashboard and a cubby beneath the central armrest. 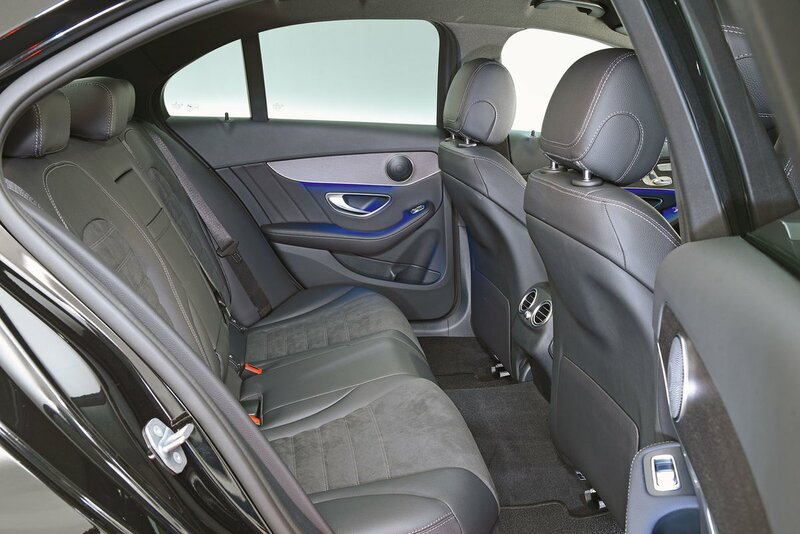 There are three seats in the back of the C Class, but three adults sitting there won’t thank you on a long journey, because the interior is narrow and the large central floor tunnel pinches foot space for the middle passenger. Two six-footers should be reasonably comfortable, though, because leg room is decent. There’s a decent amount of head room, too, even with the optional panoramic roof fitted. However, the Superb and Passat are much better prospects for anyone who regularly carries adults in the back. At least storage space is decent enough, with a relatively generous pocket in each door and map pockets on the backs of the front seats. There’s not much scope for seating flexibility in a saloon, but even with this in mind, the C Class offers nothing exceptional. You get rear seats that split and fold in a 40/20/40 configuration, although the front passenger seatback doesn’t fold flat for when you want to carry particularly long loads. More positively, the front passenger seat gets electric height adjustment as standard, while fully electric seat adjustment is an option on Sport versions and above. 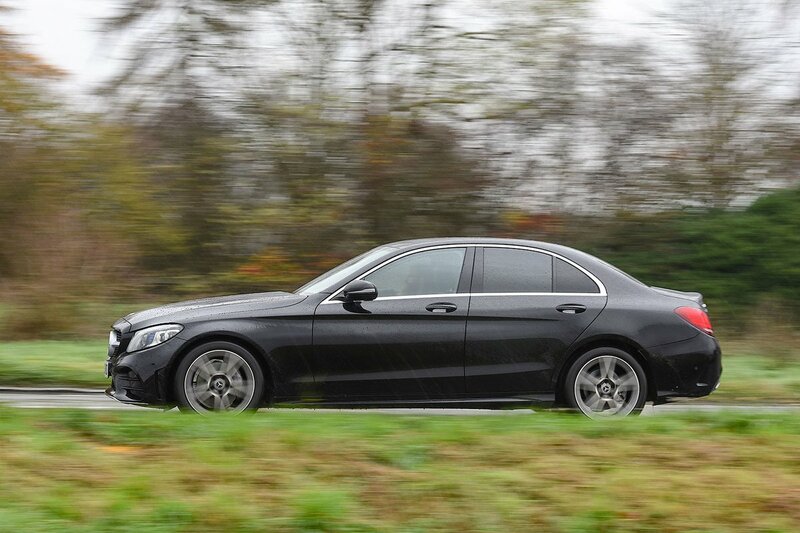 In terms of outright space, the C Class lags behind both the 3 Series and A4, let alone the Superb and Passat. What’s more, the boot floor is an odd shape, slanting upwards towards the front of the car, meaning larger items of luggage won't sit flat. On the plus side, all C Classes have folding rear seats to extend the luggage space, and the seatbacks lie flush with the boot floor when dropped.